Whether you’re a beginner, intermediate or pro skater, there are some written and unwritten rules that everyone must follow in order to keep a day at the skating rink fun and safe. It doesn’t matter if you’re rolling on quad or inline skates, young or old, you come to Rainbow Roller Rink to have a great time. Here are a few tips to skate with the proper etiquette so that can help ensure the good times keep on rolling. No one is a perfect skater and half the fun is pushing yourself to get better. However, it’s important to know what you are currently capable of. Trying to go too fast before you’re ready or trying to pull off a trick without the proper skill level can get you and other skaters seriously injured. At the rink, there is one dominant direction of traffic flow. Don’t skate against traffic. You’ll make experienced skaters mad and put everyone on the floor at risk. A norm across most skating rinks is that slow skaters and beginners should stay to the outer periphery so they don’t get in the way of faster, more advanced skaters. Skating is all about having fun, but this means different things to different people. You don’t have to put yourself in a dangerous position or try anything you’re not comfortable trying just to look cool or impress anyone. Go at your own pace and enjoy what you are doing without worrying about anyone else. To find out more about the do’s and don’ts at Rainbow Roller Rink, give us a call or just pop in and take a lesson from one of our expert instructors any time there is open skating! The summer can be fun for kids, but it can also be hot. Sometimes hot weather can be enjoyable, but it can also be dangerous. Sunburns and dehydration are both real risks during the summer months. 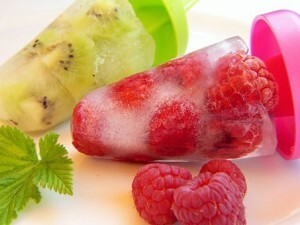 Here are a couple tips to stay cool this summer while having a blast. Staying hydrated is key to keeping your body temperature regulated. It is crucial that kids drink plenty of water everyday, especially when the weather is as hot as it is. There are apps on your phone that can help you remember to drink water, one of which is Plant Nanny, which is fun for kids, too. The app gives you a plant to grow. In order to grow your plant, you must drink a certain amount of water and record it in the app. It is a fun way to remember to stay hydrated and highly recommended for kids. While it is important for kids to get outside and get active, they shouldn’t be outside for too long, especially when the sun is high. Plan some indoor activities for kids that are both fun and active. One fun activity is to bring your kids to Rainbow Roller Rink. Come for a day of skating and snacks. Your kids can challenge their friends in different activities and experience the health benefits of roller skating. Summer is also a great time to exercise kids’ minds! Reading is important in developing vocabulary and communication skills. Encourage your child to read at least 30 minutes each day. This will keep them inside and cool. When they complete their daily reading, reward them with a trip to Rainbow Roller Rink! Staying cool is very important for your health. At Rainbow Roller Rink we want to help you stay inside and cool. For our hours and rates, please visit our website and contact us with any questions you may have. We know what your family is looking for: you want something different from the same old summer activities. Something to switch up your routine. Well at Rainbow Roller Rink in Tonawanda, NY we are giving you just that. We have a number of special events planned this summer that are sure to mix things up a bit. Located right behind Rainbow Roller Rink is our skate park. The skate park will be open only during our normal hours as long as the weather is good. Please keep in mind that you must bring your own set of wheels to participate. If you want your kids to have an easy, healthy place to spend afternoons, they should know the basic skills required to skate. Rainbow Roller Rink wants to help provide your youngsters with those skills. For just $6 our certified skating instructors will teach your kids to roller-skate in a 45 minute session. Our DJ’s are known for playing some of the hottest tracks of the year. Join us every Monday night from 5-8pm to skate to your favorite Christian music. This night is great for youth groups or anybody looking to experience a positive skating experience. The summer season can be a great opportunity for families to spend time together. We’re offering a family deal that will give you a space to do just that. Switch it up from your normal game night and come in for a fun-filled family night of skating. This is certainly an event you will not want to miss. We will offer you the opportunity to skate, only this time it will include FOOD! $12 will cover the costs of admission, skate rental, soda and all you can eat pizza. That’s one of the best deals in town. Make this summer one to remember. You don’t want to miss our special events. To reserve space for parties or for general inquiries, contact Rainbow Roller Rink. As you sit back and wonder what to do with all of your free time this summer, refer to the advice in our blog for fun daily activities at Rainbow Roller Rink in Tonawanda, New York. Here are five reasons to visit Rainbow Roller Rink this summer. The summer is the time to spend time with the people around you. We believe roller-skating is one of the best ways to do that. Our skating rink is big enough for families or group of friends to skate together at the same time. For the parents, summer is a great time for you to teach your kids how to skate! 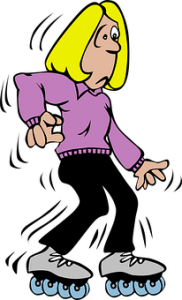 Roller-skating has been known to exercise different muscles in your body and encourages a healthy lifestyle. Our inexpensive rates and welcoming facility give you the opportunity to stay in shape while having fun all summer long. For more information about the health benefits of roller-skating check this out. The last thing we want is for money to be the reason you don’t spend time with us this summer. Please contact us to find out more about our rates and offerings. Our facility has multiple fun activities for you all summer long! We have a fantastic skating rink for you to show off all of your skills. We have a bounce zone that is certain to help you bounce into a great summer. We also have a game zone that is better than most arcades. This area gives you the opportunity to challenge your friends and climb up the leaderboards. If you have a birthday that falls during the summer, stay out of the sun and come enjoy a fun day at Rainbow Roller Rink with your friends! Book your birthday party now. This Summer Is Coming Up Rainbows! Summer fun is heating up. Cool down at Rainbow Roller Rink! We’re a family entertainment center with roller-skating, a Bounce Zone, and an arcade, so kids can play all day without getting bored. What’s the best part? Our facilities are air conditioned so you won’t need to worry about overheating or getting sunburned! If you’re ready for a fresh, fun summer field trip, book a group event at Rainbow Roller Rink. Do you want an excursion that’s as much fun for the counselors as it is for the kids? 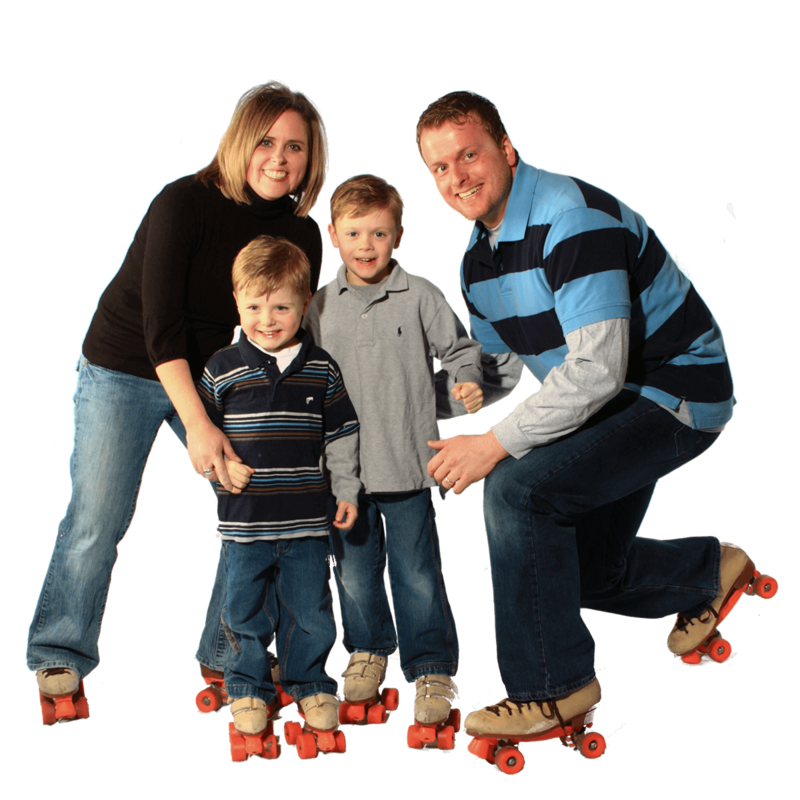 Roller-skating is a great activity for summer camps, daycare centers, church groups and VBS classes, sports teams, and year-round schools. Break out of the ordinary, day-to-day routine with a fun adventure that will keep the kids moving, laughing, and making lifelong memories. We have a variety of field trips, private events, and fundraiser options for summer skating groups. Private party: 2 hours of fun for 150 guests. 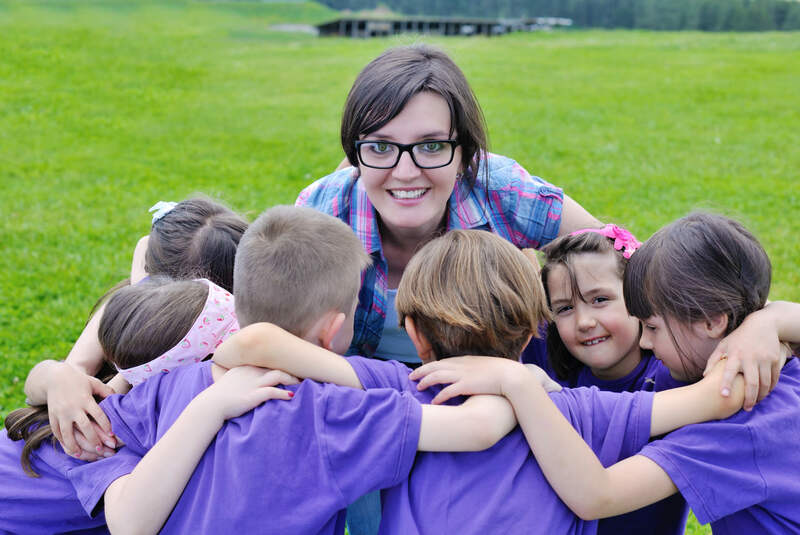 Perfect for big kids’ summer camps in North Tonawanda. Field trip: Just $6 per student, rentals included! Teach the kids about the science of motion, the health benefits of roller-skating, and more. Fundraiser: Here’s how it works: you advertise the event, your guests pay to skate, and we give you a $2 rebate for every admission. It’s a risk-free fundraiser that’s fun for all! Late night party: Great for child or adult groups, late night parties are available Saturday nights from 10:30 pm to 1:30 am. Treat campers to a not-quite-all-night lock-in to cap off a great week! 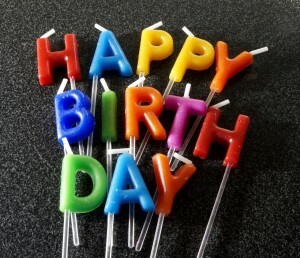 Private birthday bash: Are you celebrating a special event? Don’t skimp on the guest list. Invite up to 50 skaters (with an optional add-on of 10 extra guests) for an epic bash that includes pizza and drinks, discount coupons, skating and rentals, and more add-on options than you could possibly need. Call Rainbow Roller Rink today to book your summer group event. Uncomfortable Skates? Adjust the Laces! Improperly fitting roller skates can be extremely frustrating, and if you are a beginner, it can bend that learning curve even more than it already was. But a skate that doesn’t fit quite right, doesn’t always mean that you selected the wrong size for your foot. While this is a very definite possibility, you may also just need to simply adjust the laces. Like skates, feet come in all different shapes and sizes, and sometimes minor tweaks need to be made. Rainbow Skateland in Lockport, NY wants to see everyone in our rink having nothing less than a great time! So, follow these lacing tips if you are someone who is struggling with this. High Arches? If you have really high arches that cause the tops of your feet to be raised a little higher than most, relieve that pressure. Roller skates are supposed to be a little snug, but not uncomfortable. Is your heel slipping? 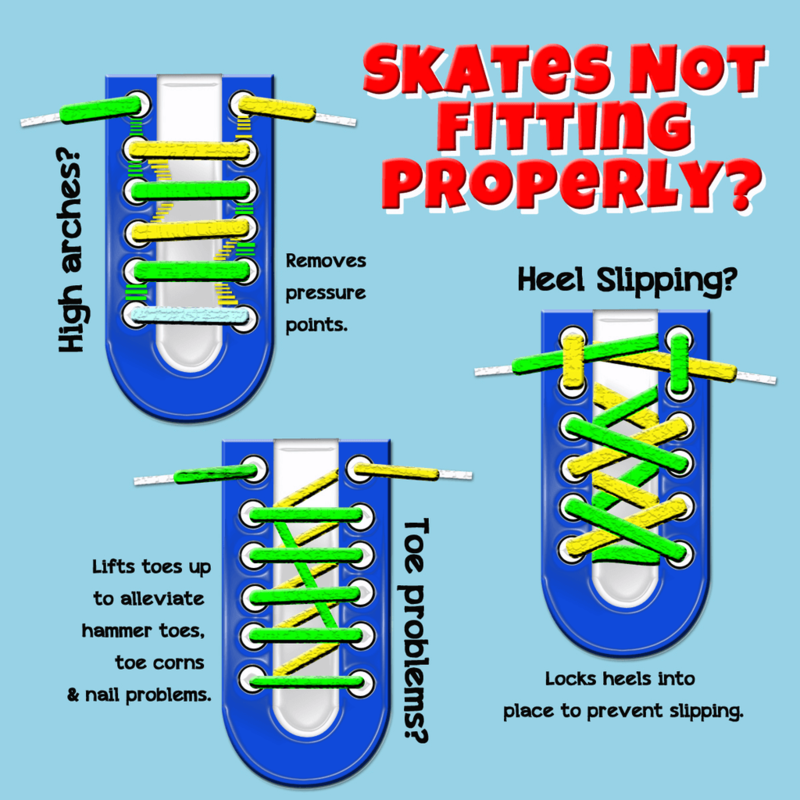 If this is you, and you have been fitted for skates by someone who is knowledgable, try this lacing technique that will help alleviate this issue. Toe problems? Let’s raise them up a bit! This particular lacing method will help to alleviate hammer toes, toe corn, nail problems and any other painful toes issues you might experience with your toes. Join us at our rink! Check out our schedule, and plan your next visit! Celebrate National Roller Skating Month! The Roller Skating Association International (RSA) will be kicking off National Roller Skating Month with the theme “From the Rink to the Rings”. It is an important message that roller skating isn’t just America’s favorite pastime, it’s also a stepping stone to a healthier and brighter future. In addition to the poster model, Chad Hedrick, winningest speed skater of all time, many famous Olympians began in the roller skating rink including Apollo Ono, J.R. Celski, Brian Boitano, Jennifer Rodriguez, Derek Parra, Brittany Bowe and more. 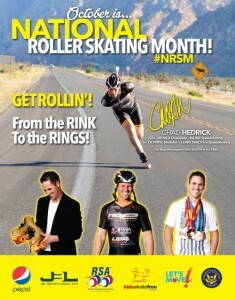 This year’s poster represents the road Chad took to become an Olympic medalist starting with his years of training in the roller skating rink to winning five Olympic medals and 52 titles as a World Champion Inline Speed Skater. The RSA wants people to know that roller skating is one of the few activities that provides a complete aerobic workout for over 640 of the body’s muscles – especially the heart. To kick off the celebration early, the RSA spent the weekend in New York at Nickelodeon’s Worldwide Day of Play sharing with more than 5,000 children the joys of roller skating! Families, kids, and teens are encouraged to dedicate themselves to achieving an active lifestyle. The RSA is encouraging participants to post their photos to social media using the hashtag #NRSM to show their roller skating adventures! We are proud to announce that the Roller Skating Association International has garnered the support of The President’s Council on Fitness, Sports and Nutrition and Let’s Move Program with the mission of keeping kids active and healthy in a safe environment. The President’s Challenge is a program that encourages all Americans to make being active an important part of their everyday lives. For more information, please visit www.presidentschallenge.org or call 1-800-258-8146. Let’s Move! is a comprehensive initiative, launched by the First Lady, dedicated to solving the problem of obesity within a generation, so that children born today will grow up healthier and able to pursue their dreams. For more information visit www.letsmove.gov. The National Roller Skating Month Campaign is sponsored by: Pepsi, JBL Trinity Group and Kids Skate Free and is supported by the Let’s Move Program and the President’s Challenge Program. With cake, presents, and friends, we know that birthday parties are joyful experiences in which memories are being made. However, we know that sometimes while birthdays bring joy for young ones, added stress may be felt on the family budget when planning a birthday party. Budgeting for birthday parties can be difficult. Determining an appropriate birthday party budget has been a hot topic on parenting blogs. At Rainbow Rink, we understand that this is a real stress, and we are proud to offer birthday party packages for all budgets. If you’ve ever held a birthday party at home, then you know how much work and effort goes into the process before and after the party. You won’t have to worry about cleaning, grocery shopping, or putting together goody bags when you have a party at Rainbow Rink! Plus, of you are you going to have a group of rowdy kids joining you for your birthday party, roller skating is the perfect outlet for all of that energy. As an added bonus, visitors that come in never having roller skated before leave with a new experience under their belts! Roller Skating is fun you can feel. It combines exercise, a place to gather with family and friends, and gives children a safe place to enjoy a sport in an adult supervised facility. With all of that, roller skating is just plain fun! We help you plan your event down to the last detail. Our friendly staff members in our booking department will make sure your party is ready to be the talk of the town! Our different party packages make having a roller skating party affordable for any budget. Roller skating is our main focus at Rainbow Roller Rink and kids of all ages love to skate on our real maple wood skating floor. We party for a living and trust us when we say we know all the best ways to make your time at our skating center fun and exciting! Not many sports let you burn calories standing still; so get rolling for up to 500 calories burned each hour. 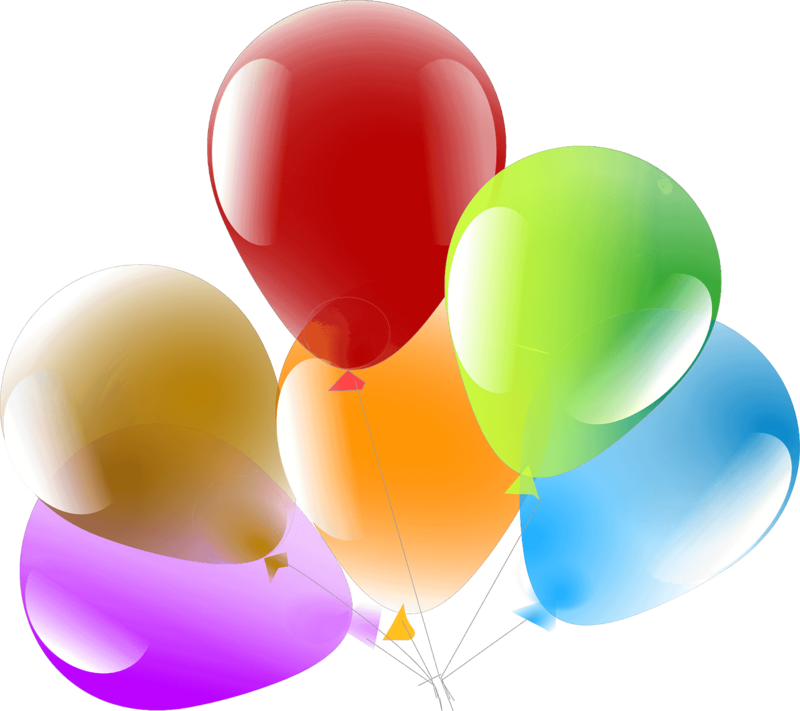 Give us a call today at (716) 693-1100 to book your next birthday party or group outing! Learning a new skill is a nerve-racking experience in the best of times. Strapping wheels to your feet and trying to learn balance, control, and speed is nothing short of scary. Whether you’re old or young, just learning or teaching your kids, here are Rainbow Rink’s 4 favorite skating tips to make the lessons a little easier. Learn to Skate at Rainbow Rink! When you’re learning a new sport, the last thing you want is to feel constricted. Wear loose, comfortable clothing when learning to skate. If you’re worried about falling, consider wearing protective gear like knee pads and wrist guards. A beginner skater’s best defense against falling is knowing how to use your knees. Bend your knees slightly when skating to give yourself better control. If you feel yourself falling, hit your knees instead of catching yourself with your hands. This cushions your fall and limits wrist or hand injuries. Practice falling to your knees on the carpet before you venture onto the skating floor. When you’re learning to skate, it’s best not to push yourself too far too fast. Skate near the wall until you’re comfortable on your skates. Skating by the wall gives you balance and guidance, and keeps you out of the way of faster, more experienced skaters. If you’re ready to invest in a new hobby, it pays to fully commit. When you buy your own roller-skates, you’re guaranteeing a set of wheels that’s fitted to your size, skill, and level of experience. 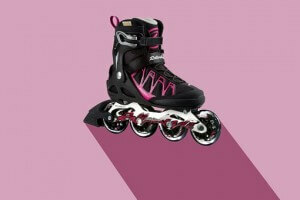 Buy skates for speed, maneuverability, or tricks. As you skate the boots will mold to your feet, making it easier to control your wheels (and stay comfortable) when skating. Still not steady on your skates? Practice during our Summer Afternoon Skating Sessions before rolling into busier weekend skate events.